Amkosys is India based leading service IT company. We are a business providing technology services and solutions to both large and small companies, optimizing organizational performance by mapping strategic goals and objectives to IT initiatives. Our core services are web portal development, classified system, custom CMS, website design, website development, mobile website, social media promotion (marketing), SEO. We have extensive experience with multilingual website development and marketing, accessible websites, and with database systems development and integration with websites. 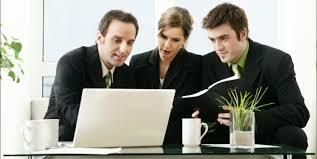 Our quality processes are unsurppassed by any other similar sized web development agencies. At Amkosys, quality control is part of each stage of development, a dedicated testing team checks for bugs, usability problems as well as universal compatibility. Each project at Amkosys is under constant control of a dedicated quality assurance department that monitors project activities and results at each development phase. We create long term partnerships with our clients to upgrade and maintain their systems. This relationship ensures the solutions we deliver match up to a dynamic internet and evolve as per business needs. We are committed to becoming your long-term, trusted partner. Our priority is not only providing professional services and solutions but becoming your IT vendor dedicated to meeting your needs today and support your growing business needs tomorrow.